Looking for excel duty roster template for hospital employee and others like “Truck Driver”, Security Guard. Day/Night employee duty roster template is ready for you. Printable template with 2018 to 2019 calendar data, task list with assigned duties and Gantt chart for a monitoring project progress report. Rotating the staff through various shifts can be a confusing and hard job; however this need to be done by everywhere where multiple shifts are going on. It is actually a way to tell your staff members what are their responsibilities on a certain date. For more detail regarding information don’t forget to visit WIKI Article on Scheduling. To tell the truth, it actually reduces down the management costs and a significant proportion of expense from the extra employee purpose as well. On the other hand, it is equally important that each person for the specific job and role must be available in the company so that no operation is disturbed. Check out Production Schedule employees roster. What type of Duty Roster template you looking for? Mention you emplacement position like Security Guard, Nurse and get custom Design Template Via in Email. Poor scheduling is the major reason behind disturbed and stressed workforce, however, this can be avoided with help of excel duty roster. Furthermore For Hospital/driver template is available here, the availability of right staff member everywhere is important. However, at the hospital, it is more important as many people lives are relying on the job of driver. Distribute the workload fairly among your drivers using this excel template for the rotating purpose! Basic info: Start by adding the blank, “for the week” and “name of a department”. The shift roster is available for the week however if you are looking for monthly roster we can make it available for you! Column 1: The heading for the first column is Monday to Friday and the date. For the hospital enter the date for the entire week. The hospital works 24/7. Start entering all the drivers’ names available at your hospital. If filled go through the name twice and don’t miss out any of the driver names. Column2: Enter the date in the heading section. Divide the drivers according to their work roles as well as depending on the size of your hospital. To ensure you have enough drivers in all of the shifts. Column 3, 4 &5: Start entering the dates for the entire week on the top of each column. Once filled divide drivers in the shifts efficiently! need to make sure that drivers on the night shifts must not be given the morning or afternoon shift next day. Moreover, any official leave can be marked red for the specific driver as well! Table 2 &3: Do the same in table 2 and 3. This is to actually help the management persons at the hospital to efficiently divide the drivers in the morning, evening and night shift. Moreover, the excel duty roster for the hospital can be shared with your drivers as well. Day/night nursing duty roster for any hospital or other staff duty schedule is available in just few editing. U.K or U.S base nursing operation base template works for you. The truck driver must need that document for day/night operation in public transport or delivery of goods. So you can download other generic employee duty roster template in excel or another printable document after some editing in your company trademark and logo. Day/Night Duty Roster for security guard template been using in most countries like U.K and US. According to Opening, Intermediate and closing, you can keep track of numbers. All type of leaves like Maternity leave, public holiday, annual day off, replacement day off, claim hours, Rest Day will be managed accordingly. Shifting detail like (Morning Shift, Afternoon shift, Mid-shift, and full day shift) will be the monitor in this template. Although you call shift schedule or duty roster, Desire template will be Email you accordingly to Selection. 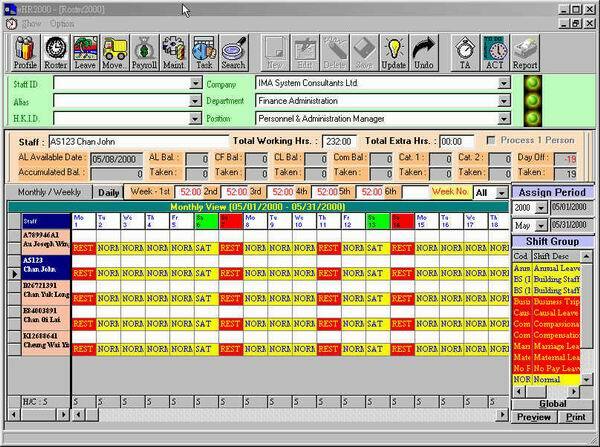 In addition, Wither you want to download nursing, Driver or Security Guard Excel Duty Roster Template for the hospital. You just Need to Request Us.